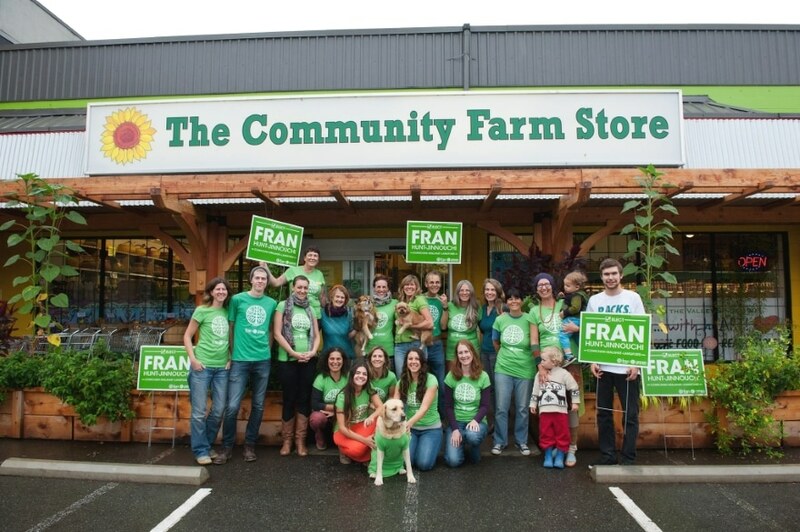 At the heart of Duncan, British Columbia, nestled in a small shopping complex barely a mile from the city’s vibrant downtown, sits The Community Farm Store (CFS). 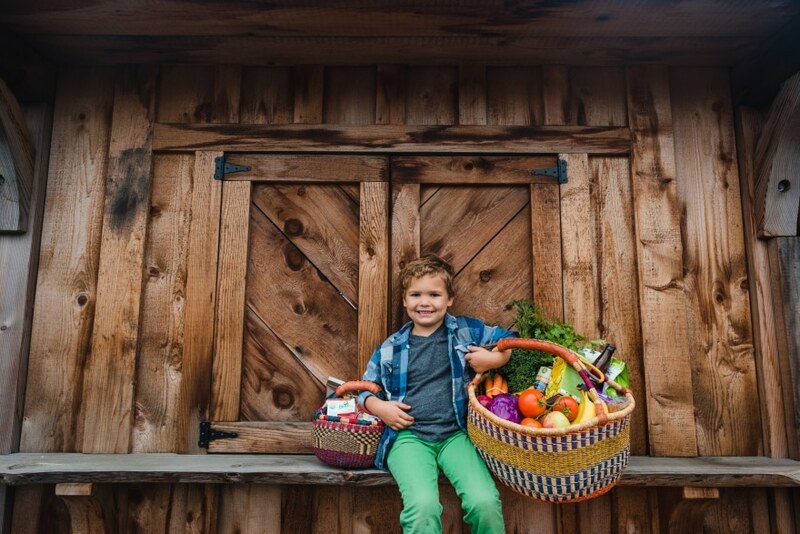 Combining farm-fresh produce, eco-friendly products and a litany of educational resources, the depot epitomizes the region’s back-to-the-earth ethos. You might say it’s all in the name. 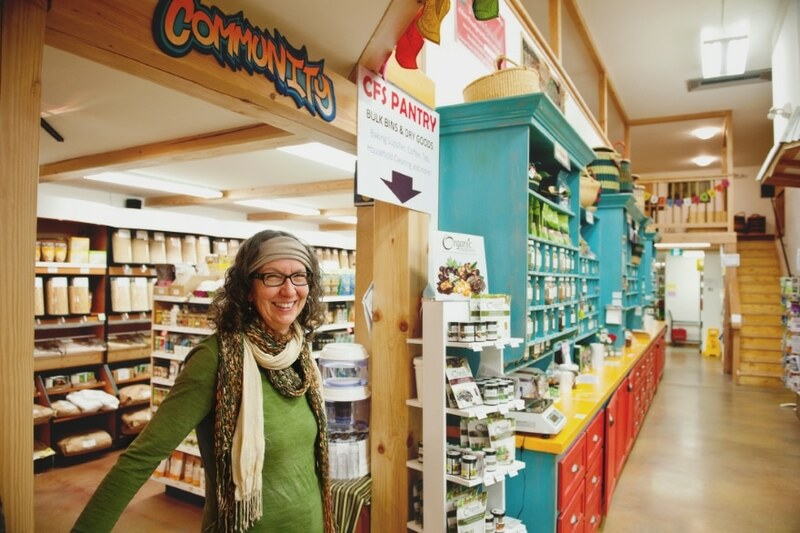 From its roots as an organic farm market and bakery that opened in 1993, CFS has been no stranger to change. After relocating to downtown Duncan in 2003, by 2014 the store had once again outgrown its walls, prompting the launch of a new, 10,000-square-foot store on the south side of Duncan, just off the Trans-Canada Highway. According to Genier, transforming the space—from a “big-box style” auto parts store to a place that exuded CFS’ verve and values—was nothing short of miraculous. At the heart of their new store was a shared community kitchen where local farmers and staff make sauerkrauts, jams and other products to be sold on-site. The goal, Genier says, was to create a place where staff could cook for themselves—and for each other. But as it had so many times before, the space took on a life of its own. On one occasion, a Syrian family who had recently moved to the Cowichan Valley organized and cooked a dinner for CFS staff. In 2016, with the store’s membership base at 15,000 strong and growing, CFS created what is now known as the Sol-Centre, a 7,000-square-foot, two-level home to numerous healing practitioners and retail businesses. Downstairs, a “retail collective” offers a range of ethical businesses including a Fair Trade gift shop, an organic juice bar and café, a crystal shop as well as a natural childhood store inspired by the work of Rudolf Steiner and the Waldorf education movement. According to Genier, Sol-Centre represented the logical next step in CFS’ ever-evolving commitment to health and wellness—and the latest in a litany of faithful leaps. Nowhere is this dynamic more pronounced than in the store’s educational outreach efforts. Each month, CFS puts on a series of public events that run the well-being gamut: mushroom foraging workshops, gardening tutorials, cooking lessons, seminars hosted by naturopathic doctors—all of them hosted on the store’s gorgeous second-floor mezzanine. 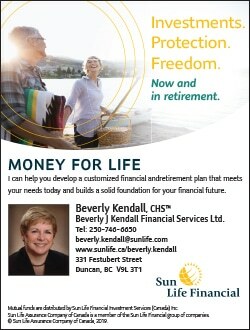 The programs have become so popular, in fact, that some offerings require a waiting list. In some cases, experts are invited to be part of the store’s internal wellness advisory team, to ensure that only the best products are offered. However, CFS’ outreach efforts are hardly confined. Next up: transforming a plot of backyard farmland into a “pollination corridor project,” encouraging everyone with property near the town’s train tracks to plant flowers to support the bees, with the goal of turning the tracks into a pathway for bikers and hikers. But the store’s passion for community engagement goes well beyond seminars and workshops. While many of CFS’ customers are fellow eco-friendly travelers—discerning in their shopping and inclined toward green wares and local produce—there are some for whom the store can feel like another world. One that’s vastly different from the big-box chains that dominate the global consumer goods market. Accordingly, CFS employees are trained to help customers navigate the nuances of today’s earth-conscious products, from decoding food labels to weighing the merits of different laundry detergents. Indeed, that face-to-face engagement is part and parcel of the store’s inviting ambiance. Whether it’s the full-spectrum lighting or the local art adorning the walls, the regionally-sourced wooden beams or the year-round garden that meets customers at the entry, CFS just feels different—a place designed for engagement, rather than shopping efficiency. In other words, just the way Genier likes it.